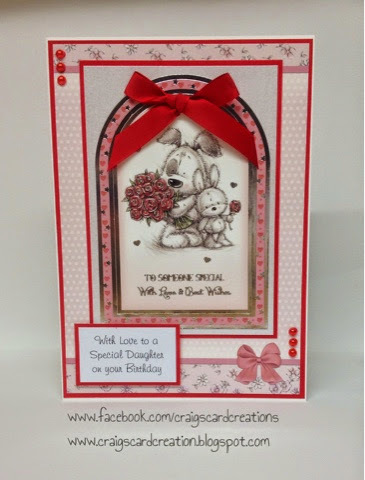 Crafting With Craig: "Cute as cute Can be" A5 Hunkydory card. 13mm Satin Red ribbon - American Crafts. Pick up pencil - Stix2.